“A lot of my concentration has been recently dedicated to athletic delegations, a coupling of words I don’t typically think about or write about. Perhaps the more newsworthy delegation is between North and South Korean officials meeting and agreeing to Olympic participation and cooperation. Since I live in Korea, it’s something that obviously occupies my mind. Yet it’s another set of delegations that, while more esoteric and less reported, has me feverishly hitting refresh and eyeing ticket sales: the delegations from the Hawaii Tourism Authority and the Ultimate Fighting Championship. Officials from both camps met recently to discuss the possibility of making UFC Hawaii happen at some point this year. As of now, there’s not much to report. The delegations met and discussed terms, and by all accounts, the meeting went well. 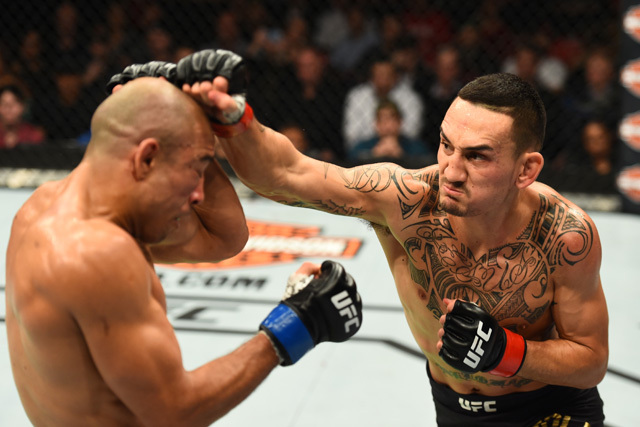 Talks will resume as Max Holloway’s title defense against Frankie Edgar at UFC 222 draws nearer.